Mets former first baseman Carlos Delgado’s baseball career is finally moving in the right direction. The perennial slugger went 1-for-4 on Sunday in a late-season Puerto Rico Winter League game for the Carolina Giants. Playing on artificial turf, the 37-year-old has been relegated to DH duties. Delgado, however, will be able to brush up at first base when his team plays on natural grass. Mets.com reports that the Mets organization, for the moment, does not have the Puerto-Rican native in their 2010 plans. The website also reports that only the Baltimore Orioles have displayed any interest in the veteran first baseman. Being that Delgado is on borrowed time, the thought of bringing him back for more than one season is not highly recommended. Although, I was impressed at how successful he was in making the necessary adjustments at the plate during the latter part of 2008 and early 2009, his season was cut short by a hip impingement and hampered by a strained oblique. 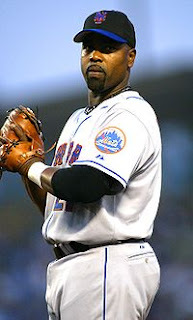 If Delgado is healthy, I don’t see why the Mets wouldn’t bring him back. His unassuming leadership in the clubhouse and left-handed power coming off the bench could help a Mets team who managed just 95 home runs last year. With Delgado’s assignment in Puerto Rico finally off the schnide, I’m anxious to see how much impact he can bring to the table these next few weeks.